Cloud technology is evolving and becoming the standard practice for businesses because of its versatility and storage capabilities. As with all new cloud software like Office 365, there comes the challenge of knowing how to keep up with routine IT maintenance. As your business grows, naturally there will be more technical issues as you hire more employees and take on more data, sales, and other security measures. Here are just a few signs your business is expanding to the point where it’s time to hire additional IT support. As your business grows, there will come new challenges with management as well as IT support. You may find that your business is in turn facing new and complicated IT issues that require higher levels of support. As you grow and your priorities pile up, you will see that keeping up with IT tasks surrounding maintenance, security, and compliance require a much more experienced employee. Fortunately, you can easily outsource your IT to one of our Rush Tech analysts who can help take that task off your plate, and be reachable any time, any where. Similarly, even if your IT department understands what they need to about cloud computing and Office support, there’s a very high likelihood of them falling behind due to time restraints. Unfortunately only a small business owner wants to and is able to work 24/7. It’s imperative to be ahead of this as technology is as fickle as it is time consuming; you do not want to be in a place where your server crashes and you have no one to call to revive the server after hours. It’s also hard to find money in the budget to invest in a level 3 or higher technician as a full time staff member, which is why outsourcing your IT is such a great idea. What’s the solution? Get your company’s IT taken care of in a timely manner by investing in Office 365 support that focuses on providing you the best service that is in your company’s best interest. Last, it is imperative to hire professional IT support if your business has had repeated security breaches. Whether it’s phishing, a virus, or anything that involves hackers stealing your sensitive data, you will need an expert to protect your company. As companies grow, sometimes slacking in security happens due to not having enough time to do routine server maintenance. That’s where outsourcing your professional IT is a great idea, because it is out of sight, and out of mind, but you know you are protected. 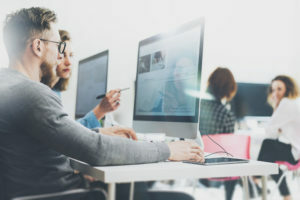 Understanding these signs can help you determine whether or not it’s time for your business to invest in professional IT services. For more information about Office 365 support, contact Rush Tech Support at 844-881-7874 (RUSH) or +18448817874 . 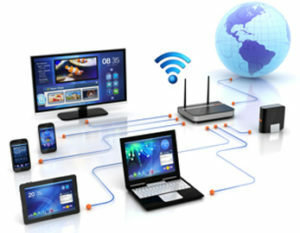 What is the Right Internet Service Provider for You?